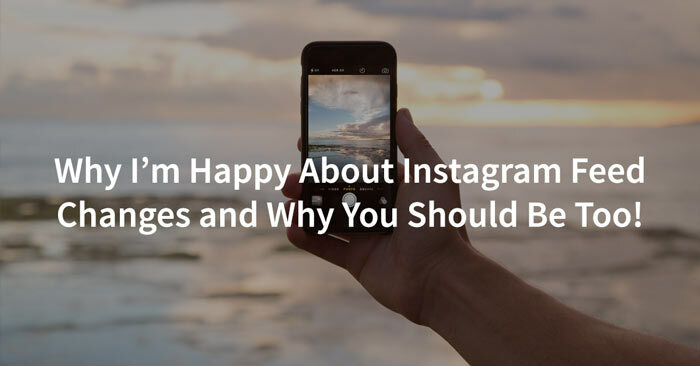 Why I’m Happy About Instagram’s Feed Changes and Why You Should Be Too! A few days ago, Instagram announced that it’s going to be changing your feed from chronological order (with most recent posts showing up first) to a ranked algorithm that shows you “what you want to see most” instead of what was just recently published. As expected, there was a huge public outcry. People are angry. They don’t like the change. They feel like they are losing control. They claim it’s all for the money. They can’t see anything good about this.